Update: Sale is over now. I wanna cry but I’m having a BLOW OUT SALE instead! Why do I want to cry? Storchenwiege wraps are known for being one of the highest-quality, most supportive, indestructible, and beloved woven wraps on the market for decades (longer than almost any other wrap company). But it’s more than that. It’s personal. My husband and I wrapped three babies in our Storchenwiege wrap. And three toddlers. We spent hundreds of days wrapped up together in our Storch. Wonderful days with beautiful memories. Days in which our babies were developing and we were learning more and more about their personalities. Days we will treasure forever. Our babies are now 14 (! ), 9, and 7 but we still have our Storch. I use it to teach other moms to wrap. I loan it to friends. We make swings and hammocks and forts out of it. So where is Storchenwiege going? Storchenwiege is based in Germany and is still making wraps. But the US distributor is no longer going to be carrying them for us US-based retail stores (like my wrap store on this site). In short, I won’t be able to get you Storchenwiege wraps any longer. So help me send my beloved Storchs out with a bang! Those of you that are seeing this have a chance to get one at a discount with a personalized bonus! ➡️ an individualized program for using it tailored to help you master wrapping based on YOUR level of experience and YOUR baby’s age and stage. I’m opening this opportunity for just 4 days. After that if any Storchs are still available, they will be back to the normal price until sold out. 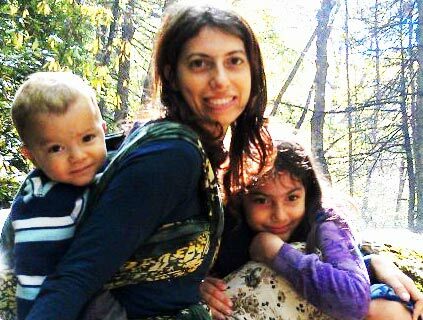 This sale is a celebration of Storchenwiege to express my appreciation for all it’s carried me and my babies through. And to express appreciation for all of you that are doing the hard (and often unrecognized) work of bringing up the next generation with love for a more loving world for us all. THIS OFFER ENDS 6 February (Wednesday) so if this is the moment for you, seize it! “I LOVE my Storch Leo. 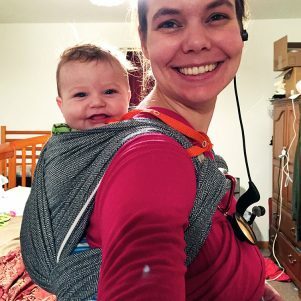 I got it as my second wrap with my first baby and it is the best. Strong yet soft. Durable and long lasting. 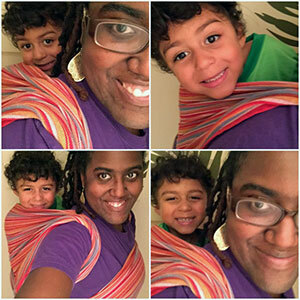 “All three of my kiddos have been worn in it and I look forward to carrying my new baby in it when he/she is born. “I have a Storchenwiege wrap! Bought it from you back in 2010. Still have it even tho I’m probably in the “one and done camp” due to my husband’s chronic illness. I mostly used it out buying groceries or running errands. 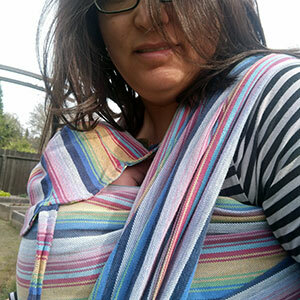 The fabric is more sturdy and linen-like than my Ella wrap, but I wore that one a lot too. “I think the Storchenwiege is an heirloom quality wrap, which is one reason why I haven’t gotten rid of it. “I loved my Storch Lily so much. I always reached for her when trying new carries because she just. Stayed. Put. “And she’d gotten so buttery with use. “So I love my Storchenwiege for many reasons. It was the first wrap I ever used and was easy to learn with. As much as I would love to collect all the beautiful wraps I come across, its affordability meant I could buy it in a time of limited funds, and it was the only wrap I owned until recently. “I love how sturdy it is – I don’t ever plan on getting rid of it and intend on passing it down to my kids, with full confidence it will last that long. 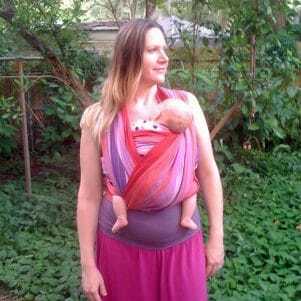 It has had lots of abuse – as I said earlier, on my 4th kid with it and it’s not stretched out at all, after years of carrying newborn to toddler (including wearing 2 kids at a time) and many washes. I don’t care for stretchy wraps. “I love, love my Storchenwiege wrap. I discovered them (and wraps in general) from a German expat mom in my daughter’s music class when my son was a baby. I was in love with how she could carry him around on her back. “Her recommendation that Storchenweige was the strongest, best wrap on the market made my decision, and I was not disappointed. The lady moved away before I really got the hang of using it. 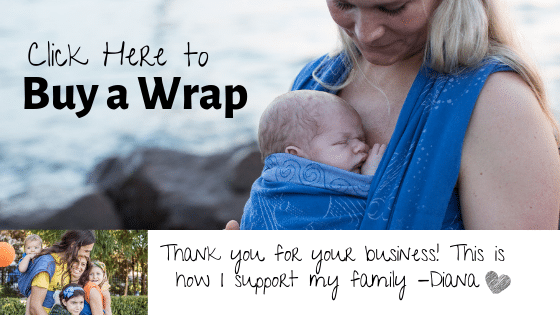 I managed two wraps with the DVD I received, but finding your site with YouTube videos with my fourth child made all the difference in the world.